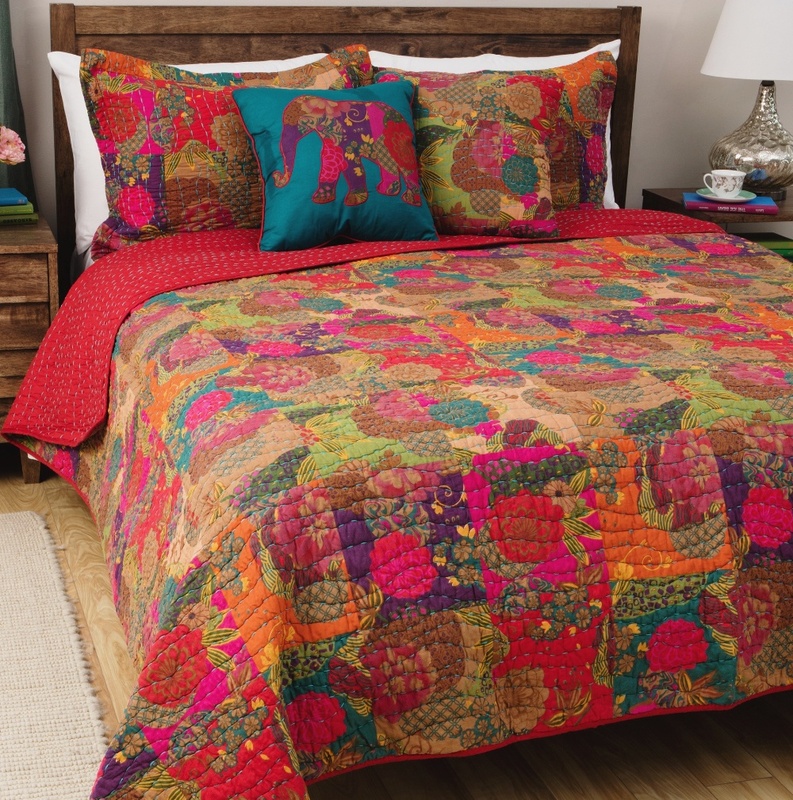 A Moroccan fusion of bold colors features a stylized floral and fruit print in bright jewel tones over-stitched in random waves of bright blue yarn. 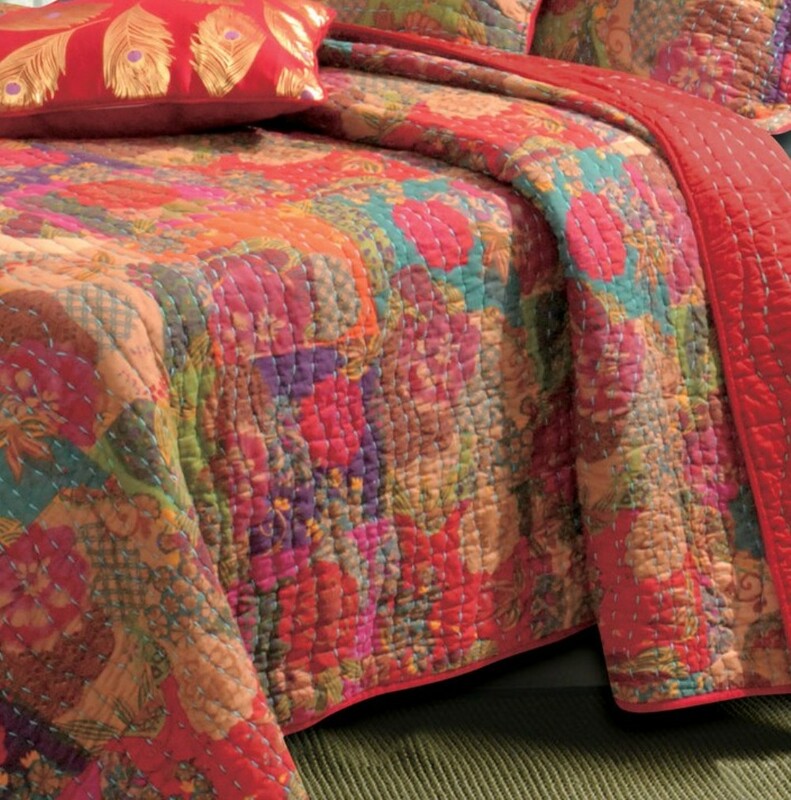 Retro-modern styling reverses to a coordinating solid color with contrasting quilting. 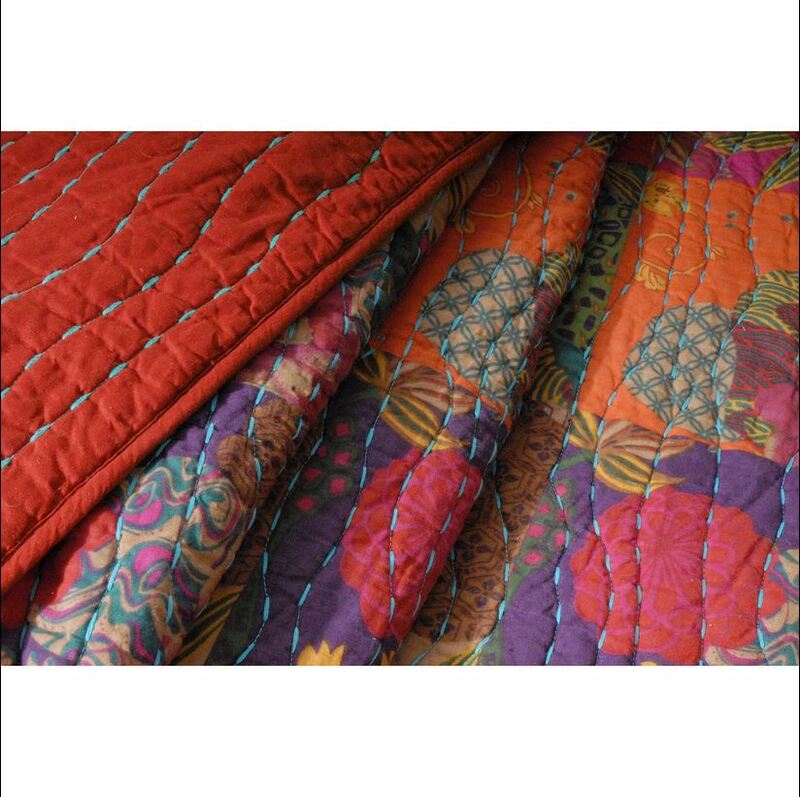 Machine stitched for durability and oversized for better coverage on today's deeper mattresses. 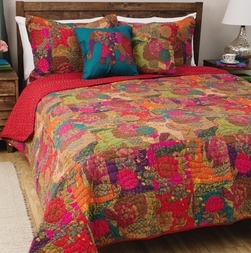 Set includes quilt and two shams in the same pattern (one sham in the twin set).